Tsunami refers to a series of water waves, caused by the displacement of large volume of a body of water, such as an ocean. Tsunami is from Japanese words 'tsu' and 'nami' means 'harbour' and 'wave'. Tsunami can be generated when convergent or destructive plate boundaries abruptly move and vertically displace the overlying water. It is very unlikely that they can form at divergent (constructive) or conservative plate boundaries. This is because constructive or conservative boundaries do not generally disturb the vertical displacement of the water column. Subduction zone related earthquakes generate the majority of all tsunamis. Tsunamis have a small amplitude (wave height) offshore, and a very long wavelength (often hundreds of kilometers long), which is why they generally pass unnoticed at sea, forming only a slight swell usually about 300 millimetres (12 in) above the normal sea surface. They grow in height when they reach shallower water, in a wave shoaling process described below. A tsunami can occur in any tidal state and even at low tide can still inundate coastal areas. The history of Markas Logistik Udara (MLU) started with the establishment of Markas Bantuan Udara (Air Support HQ) or MABANUD in KL Base on 16 Ogos 1981. The main function of MABANUD was to oversee the total logistic support for the RMAF air operations. The air force tarining was also part of support system. Therefore all training units (RMAF Alor Setar, RMAF Ipoh and RMAF Kinrara) and supply depot (Air Materiel Centre or PMU) were commanded by the Commander of Air Support (PANGBAN). 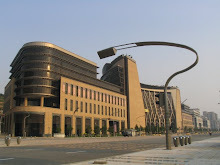 Markas Logistik Udara was established on 01 March 2001. 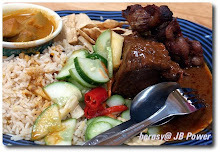 What does TSUNAMI got to do with my journey in Markas Logistik Udara?. In early 2007, there was a major Board of Inquiry (BOI) was conducted to investigate a mismanagement in procurement activities in MLU. The BOI was headed by a Brig Jen. The repercussion of that BOI was horrifying. Many ships and sampan were sunk/drawn in the 'lubuk'. One Brig Gen, one Col, more than 5 Lt Col and number of Majors were 'discharged' from the service. Alas. After a series of major organizational structure of RMAF, 'Markas Logistik Udara (MLU)' was established in 2001. It was formerly known as 'Markas No. 3 Divisyen Udara' which was established in 1994 to replaced 'Markas Bantuan Udara (MABANUD)' (established in 1982). 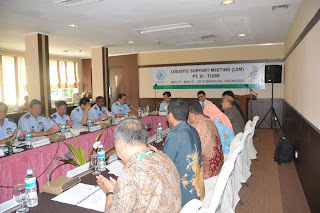 The main function of MLU is to provide the logistical support to the air force (RMAF) operations. That's why the motto of MLU (inhereted from MABANUD and No 3 Div) is 'SUPAYA MEREKA TERBANG'. When we talk about logistic support, we can't avoid from MONEY. MLU is the place where all the 'operational' procurement activities were implemented, either special to air or domestic support. Almost half of the RMAF annual OE budget were dumped at MLU, mostly OS 26 and 28. 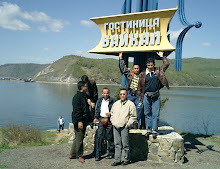 That's why MLU is famous among the 'airmen' as a 'LUBUK' (deep pool of the river of lake). For the fishermen, 'lubuk' is the place where they can fish a lot of fish. BUT, 'lubuk' also well known as the most dangerous part of the river or lake. If you 'careless' with your revenue (fish or prawn) your 'sampan' will get 'overloaded' and drawn into the whirlpool. I never worked in MLU or 3 Div or MABANUD in my first 26 years of my service in the air force. As you know, I worked in units (Kuantan and Kuching) for about 5 years, another 7 years on course, 4 years seconded to Treasury and the balance (8 years) in MPPU and DTU/MTU. 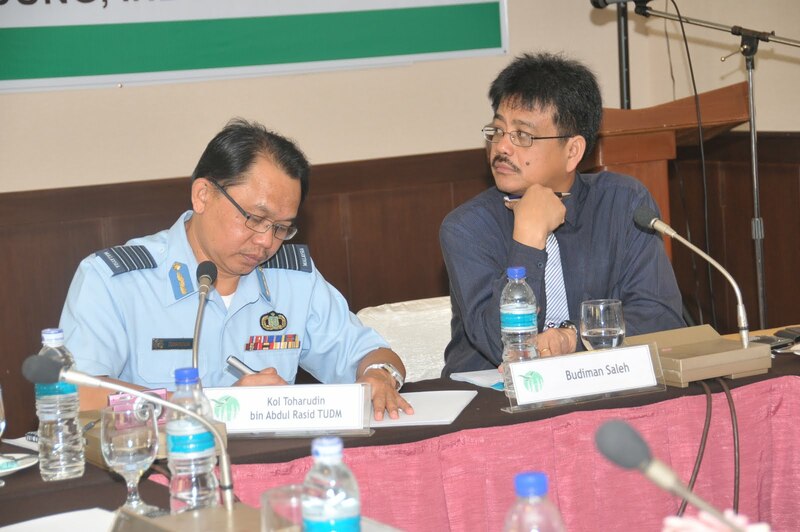 A new line of leadership led by Brig Gen Dato Ackbal was tasked to refurbish and rebrand the MLU. I wrote about this General quite long in my earlier write up (my story in Training Directorate). A major reshuffle took over in MLU in 2007. 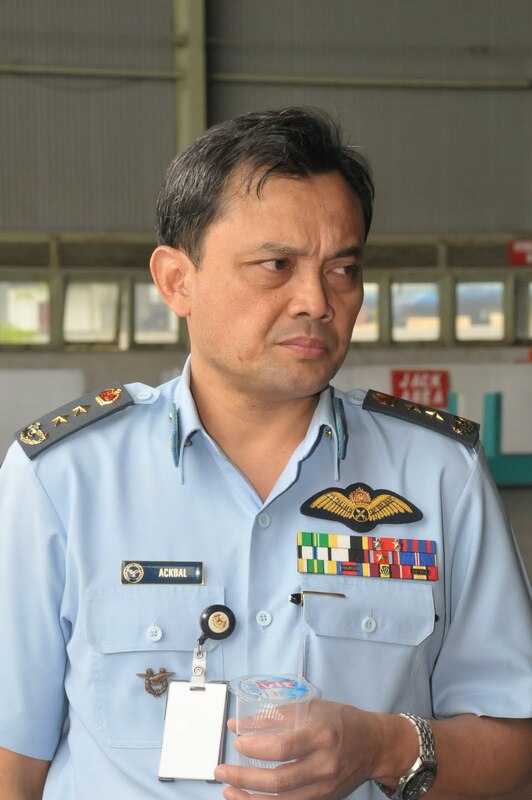 Kol Razak Khairan took over the appointment of KSS and Col Azizan as KSK. I was picked up by the top RMAF leadership to be part of the team. 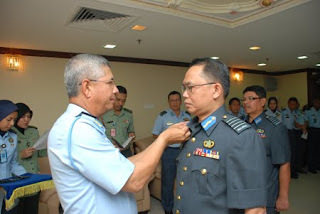 So, I left MTU-Materiel (PS1 Kontrak) and took over the appointment of PS1 Khidmat Pembaikan, MLU on 1 Apr 2007 from Lt Col Abd Rahman Abdullah TUDM (swapped over). 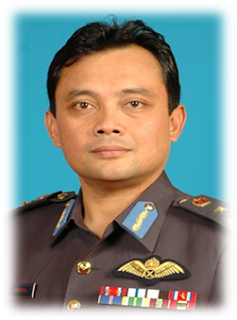 In Aug 2008, Lt Kol Hasaza (PS1 SISGP B) was appointed as new KSS and promoted to Col. He succeeded Kol Razak who is posted to MTU to be a Pengarah Kejuruteraan. 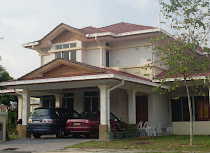 To design and create a work process for Khidmat Pembaikan and followed by official documentation. Later successfully published as PU 9109-003 or Perintah-perintah Panglima Logistik Udara. To create and materialize the 'Repair Module' in SPKB. To set up a special project to clear the AIROD bills backlog which were outstanding as back as 2003. Most of them were work completed without indent!!!!!. We (Pembaikan) took 3 months to solve this problem. Four AIROD staff and about 15 airmen from various units were attached toPembaikan to assist us. Here, I would like to record my heartiest appreciation to my staff led by Mej Raja Rizal, Mej Shafiq Khee, Kapt Lee Poh Loon (than replaced by Kapt Syahidami), Kapt Shamsul Kamal (later replaced by Kapt Ammadi Atan), PW Sani, FSjn Ishak, Sjn Jamaludin, Sjn Basri, Sjn Rizalman, Sjn ...... and others. May Allah bless all of you. I know, that period was very sickening. We have to work under real pressure; BOI, police investigation and CPM continuously. 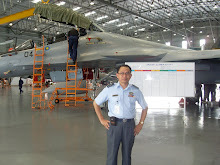 However, 1st June 2009 which was the 51th Air Force Day was also a historic day in my career in the RMAF. 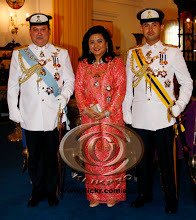 I was promoted to full Colonel (the inauguration was done on 30th July 2009). 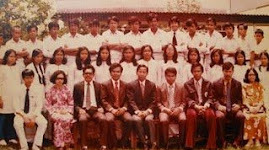 In this promotion, I overtook 10 of my seniors (in Materiel Branch); Lt Kol Mohamad Nor Rani TUDM (Lt Kol in 1995), Lt Kol Rahlim Asmi TUDM (1997), Lt Kol Fisoll Aziz (1998), Lt Kol Zulkifli Ahmad (1999), Lt Kol Bardan Majid (2000), Lt Kol Zulkefri Omar (2001), Lt Kol Zambri Ahmad (2002), Lt Kol Rodzuan (2003), Lt Kol Fauzi Ramli (Jan 2004), Lt Kol Yohanez bt Ahmad (Jan 2004). I got my Lt Col on 1st Feb 2004. Frankly, I conciously realized that, I am not the most qualified Lt Col to get this promotion, either in terms of seniority, experience or knowledge. I am not too ambitious to raise to the top of the Materiel leadership. 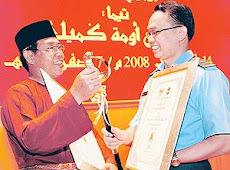 I had once submitted my resignation letter at the end of 2003 (when I was a Major) but was denied by my then AKS Materiel (Brig Gen Dato Othman Majid). I was also decided not to extend my retirement age to 55 (from 53) when the option was opened in 2008. I want to be free from my uniform as early as possible, not because of I do not like Air Force. I love Air Force very very much. I have my own reason to my decision. However, what ever balance of year in my service, I wish I will do my best of performance to the Air Force especially in order to beef up the image and integrity of Materielmen. I know, some of my seniors were not happy with this move (my promotion). But gentlemen, please believe the certainty of Allah. We all are the slave of Allah. He knows who supposed to be given his rewards. Thank You Tan Sri Azizan, Datuk Seri Bashir, Dato Rodzali, Dato Ackbal and Dato' Azizan Shaari for your trust and support in making me at this position. Setinggi-tinggi kesyukuran ke hadrat Allah subhanahu wataala di atas segala limpah kurnia dan rezeki yang dianugerahkannya. What kind of improvement and 'refurbishment' had been done in MLU for the past 3 years (since April 2007)? 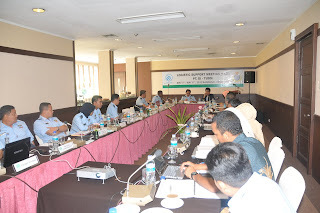 Establishment and publication of new Air Publication (PU) 9109-003 (Perintah-perintah Panglima Logistik Udara). 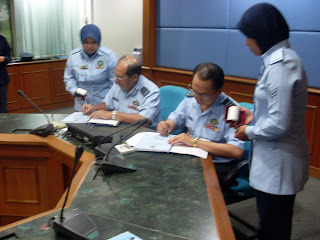 Establishment of 'Repair Module' in SPKB R5 (formerly all the process were done manually- only the data kept in the computer)- Mej Muhammad Shafiq Zulhilmi Khee. Settlement of backlog billing of repair works as far as 2002 with roughly cost RM150m. Preparation of 'fail meja' for each individual in MLU. Establishment of Approved Vendor List (AVL) for AIROD Sdn Bhd (ASB). 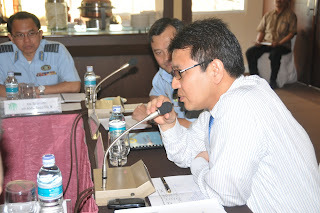 Establishment of Bonded Store in ASB to monitor and control the movement of components for aircraft under ASB maintenance- Lt Col Mohd Nazir TUDM (CPR). Establishment of 'Special RMAF Officer' in ASB Procurement Division. Designing of TCI Integrated Logistic Curriculum for the RMAF bases- Col Md Zaki TUDM. Conducting Leanmanagement Course with the cooperation of Goodrich Control, Australia- Col Md Zaki TUDM. I REALLY PROUD OF THEM. 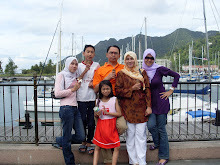 AND THANKS TO MY PANGLIMA FOR HIS CONTINUOUS FULL SUPPORT AND COURAGE. HE IS PROMOTED TO 'MAJOR GENERAL' ON 30 OCT 2009. CONGRATULATIONS DATO'. 1st Stage- I (and many more) was called to Bukit Aman to give information. 2nd Stage - 4-5 were remmanded to find more info. Recommended for Formal Interview - however dropped. Only two were found culpable...still unjustiable. KL: Seorang anggota tentera udara berpangkat Sarjan dan seorang pengarah syarikat akan didakwa di Mahkamah Sesyen Petaling Jaya, hari ini berhubung kes kehilangan dua enjin pesawat tempur F-5E milik Tentera Udara Diraja Malaysia (TUDM). Anggota Tentera Udara Diraja Malaysia, Sarjan N. Tharmendran, 42, mengaku tidak bersalah di Mahkamah Sesyen di sini terhadap pertuduhan bersubahat dengan Laskar Udara Mohamad Shukri Yusop mencuri dua enjin pesawat F5 jenis J8521 milik TUDM. Pengarah syarikat, K.Rajandran Prasad, 38, pula mengaku tidak bersalah terhadap pertuduhan dengan sengaja menolong menghapuskan barang curi milik TUDM. 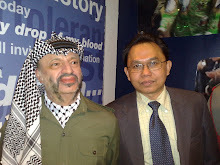 Peguam Negara Tan Sri Abdul Gani Patail berkata pertuduhan ke atas anggota TUDM itu dibuat atas dakwaan bersubahat melakukan kesalahan curi dalam bangunan manakala pengarah syarikat tersebut akan didakwa atas kesalahan menolong menghapuskan harta curi. "Hasil siasatan menunjukkan bahawa kedua-dua enjin F5 itu dibawa keluar dari Gudang Material Udara 1 (Matra 1) Kuala Lumpur hasil persuhabatan anggota tentera berpangkat Sarjan, dan keterangan juga menunjukkan seorang pengarah syarikat menolong melupuskan kedua-dua enjin pesawat itu yang diketahuinya merupakan harta curi," katanya dalam satu kenyataan di sini, Selasa malam. Katanya berdasarkan keterangan-keterangan saksi dan dokumen-dokumen yang sedia ada beliau mengarahkan pertuduhan dibuat terhadap anggota tentera udara berpangkat Sarjan dan seorang pengarah syarikat berkenaan. Abdul Gani berkata jika sabit kesalahan anggota tentera itu boleh dihukum bawah seksyen 380 Kanun Keseksaan dibaca bersama seksyen 109 Kanun yang sama manakala bagi kesalahan menolong melupuskan harta curi pengarah syarikat itu boleh dihukum di bawah seksyen 414 Kanun Keseksaan. Akhbar baru-baru ini mendedahkan kehilangan dua enjin itu pada 2007 ketika dibawa keluar dari Pangkalan Skuadron 12 Scorpion di Butterworth, Pulau Pinang untuk penyelenggaraan rutin di Pangkalan Udara Kuala Lumpur. Bagaimanapun kehilangan enjin jet itu hanya disedari oleh tentera pada 22 Mei 2008, diikuti siasatan segera sebelum laporan polis dibuat pada 4 Ogos tahun yang sama. Enjin jet pejuang itu dipercayai dijual kepada sebuah syarikat antarabangsa yang berpangkalan di Amerika Selatan. 26hb Jan- kali kedua di parlimen - aku diberi tugas memberikan taklimat proses kerja di MATRA 1. 14hb Feb- lawatan PAC ke MATRA 1 - aku telah diberi mandat untuk memberikan taklimat untuk keseluruhan program lawatan ini. Computerization of Filing System (SPKD) in CKP and Admin. Smart filing storage system for CKP. Special Project for Outstanding AIROD Billing. ------ the most trip opportunities throughout my service. 5 overseas trips within 3 years. Planned to be: aku sepatutnya menyertai FAT engine Viper di Piaggio, Milan dan fasilitet RUAG di Switzerland pada Jan 2010 tetapi dibatalkan kerana terpaksa menghadapi siasatan PAC. Sekali lagi impian untuk menjejakkann kaki ke Switzerland tidak kesampaian.